Ever wonder why country boots are so popular down south? It’s because they are not only durable, but comfy as well. I may not be a fan of denim shirts, country music or southern fried chicken, but cute and comfy I can do. I realize that cowboy boots are on their way out of style in the fashion world, but I don’t always follow all the rules. My boots aren’t exactly cowboy, but they are western. I found them last year on a random trip to dsw and was convinced to purchase them. I almost didn’t get them, but a year later, I’m glad that I did because I’ve gotten a lot of use out of them. There’s something carefree and charming about these boots, especially when paired with a dress. They give a little something more than flats, heels or sandals, and keep your feet comfy while you wear them. When the weather is a bit warmer, I do this thing where I put together no two outfits alike: prim and proper, casually suburban, summer beach-y. But I have to say that carefree country may be my favorite because I can be girly yet comfortable. Anything goes! Every so often my bff and I have country days, and we’re having one this weekend. They are always a blast. 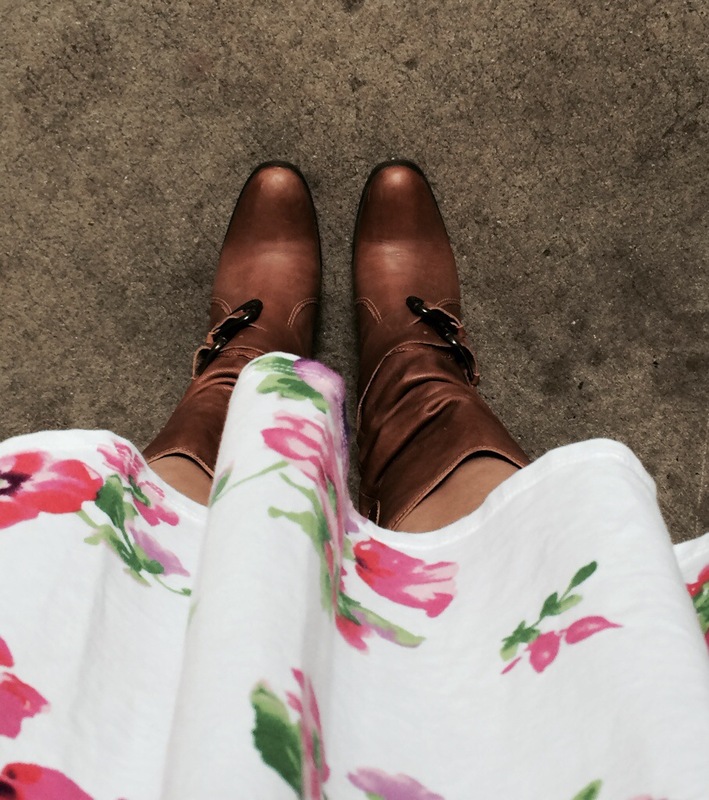 So, next time there is a cool day (aka below 80 degrees) like there is today, dust off your boots, put on a floral dress and go. Love!!!!! Great pic !!!! Love our country days!